A stylish wall-light that will create a relaxing atmosphere. The polished chrome finish and white glass shade gives the light a stunning appearance that gives any room an elegant touch. 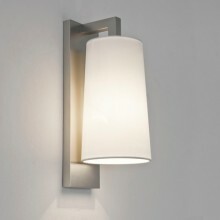 The light would work well in a bathroom but equally as well in a bedroom or hallway for a sophisticated look. This light is IP44 rated and can be used in zones 2 and 3 of the bathroom. Whatever room you are shopping for, the fixture will produce a soothing amount of light so that you can relax and enjoy your purchase. 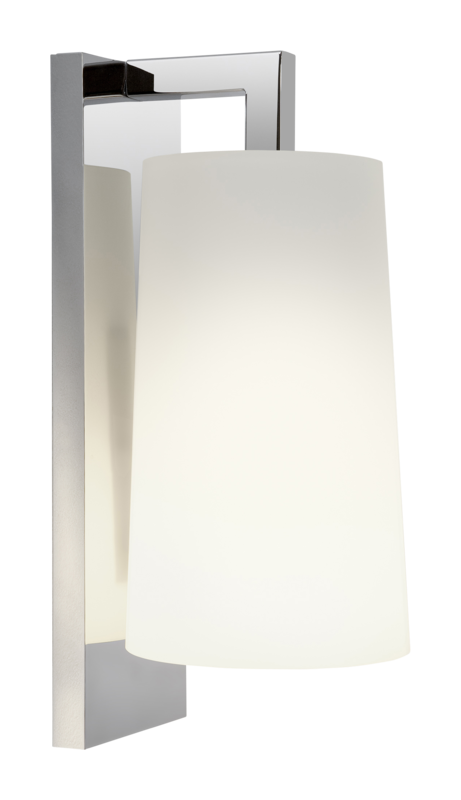 This is the perfect light for anyone wanting a more contemporary looking wall light.